Sometimes death is the only way to save a life. Nesy knows who she is now, knows what she's lost. Determined to save Aydan from his fate, she confronts the only one she blames for everything - Azza. But how can she fight the devil when she is nothing more than human? The fate of Celestium, Infernum and humanity rests in Nesy's hands. Can she find the strength to confront demons she's never imagined, face fears she's never voiced, and release the one thing that has held her world together - her love for Aydan? Some sacrifices should never be made...even for love. 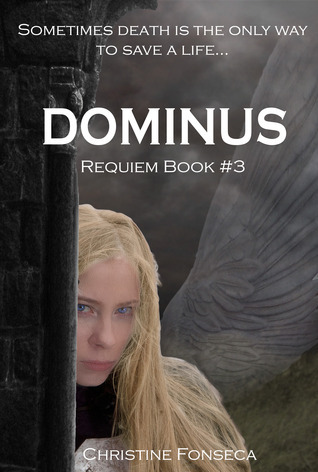 Dominus releases 10/7, and for a very limited time will be only .99! That's right, for less than a buck you can see how the entire series ends. The price will return to $2.99 on 10/19 so be sure to get your copy as soon as you can! What questions are you most wondering about with the series?? ?